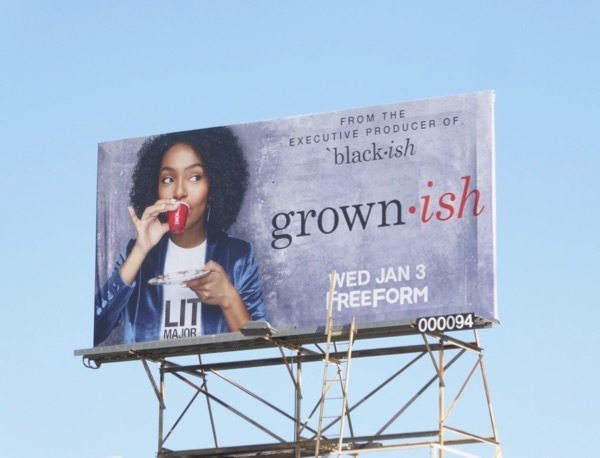 A New Year always brings new beginnings and that couldn't be truer for Yara Shahidi who's getting her very own spin-off sitcom on Freeform. 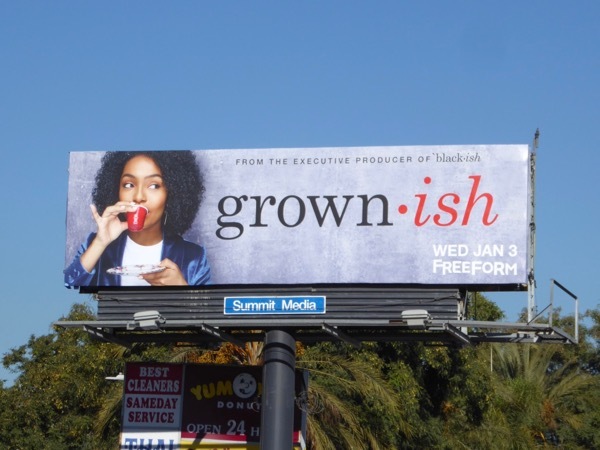 'Zoey', the eldest daughter of the 'Johnson' family from ABC's Black-ish, is all Grown-ish, leaving the comforts of home and heading to college for a whole new world of experiences. 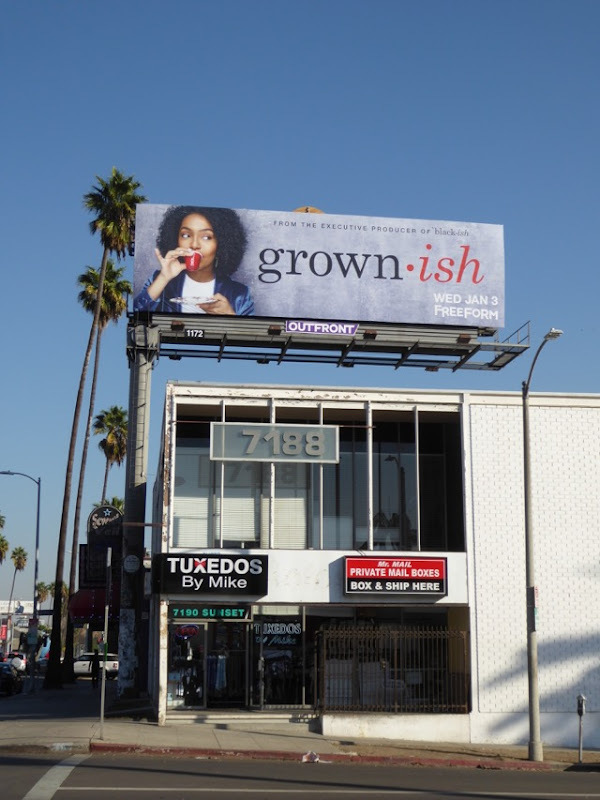 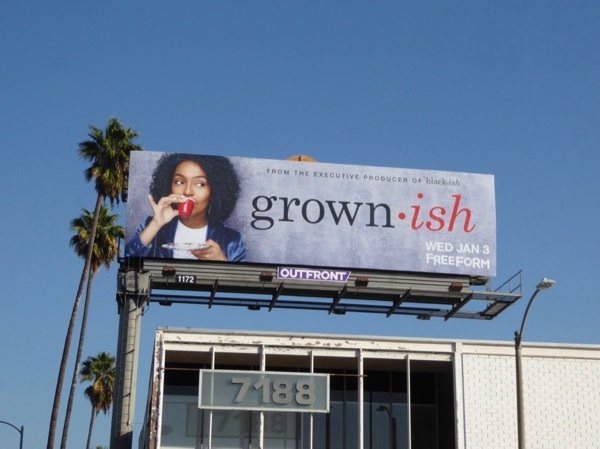 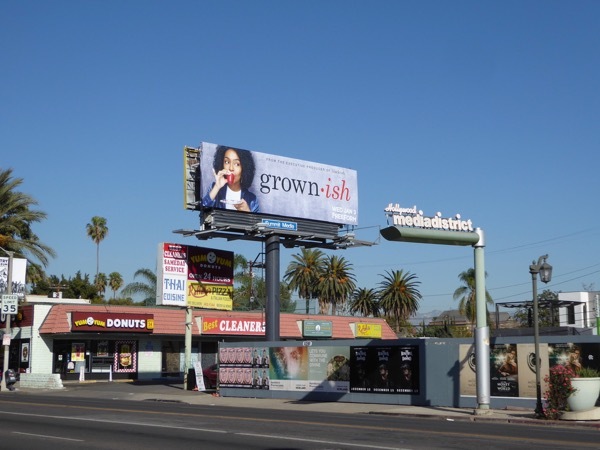 These fun series launch billboards were snapped along Melrose Avenue at Highland Avenue, Sunset Boulevard and Beverly Boulevard from December 13 to December 21, 2017. 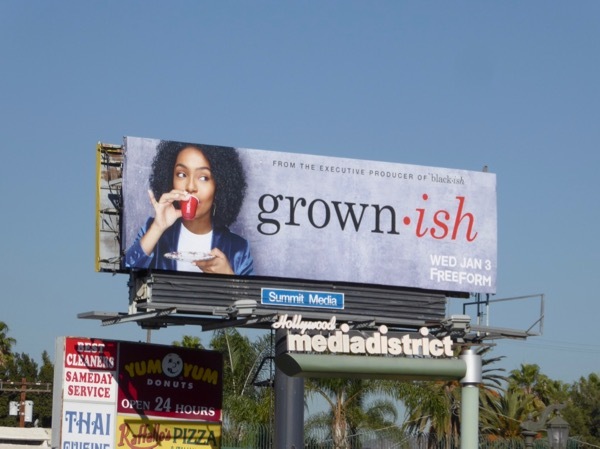 Fans of the parent show can also check out all these Black-ish TV series billboards from recent years, plus for another sitcom spin-off be sure to also check out these Young Sheldon billboards, a prequel to The Big Bang Theory. Daily Billboard is sure Zoey's journey to adulthood won't be without its growing pains, but we're sure there'll be lots to laugh about along the way.